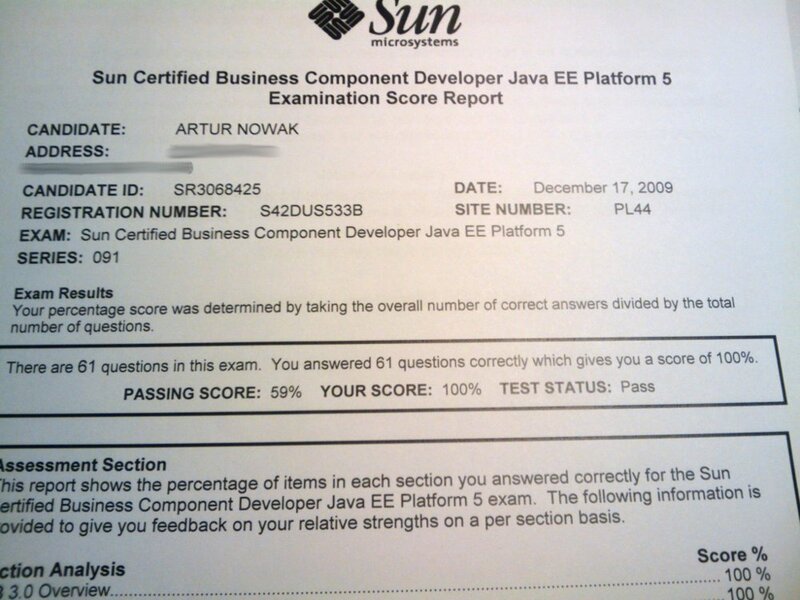 Artur Nowak's headdump: I am Sun Certified Business Component Developer! Hi Artur, congratulations! Thanks for sharing your preparation effort in the previous post. Thank you! If you will have any questions regarding the exam, please feel free to ask them in the comments. Your collection of mock exams is really impressive! What a pity I haven't known about them while preparing for SCJP :). First of all congrats for certification and scoring 100%. 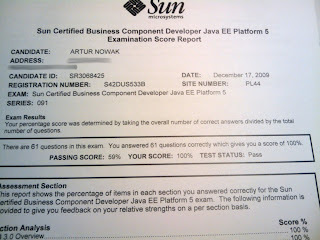 I want to know about how to prepare for the Sun Certified Business Component Developer .